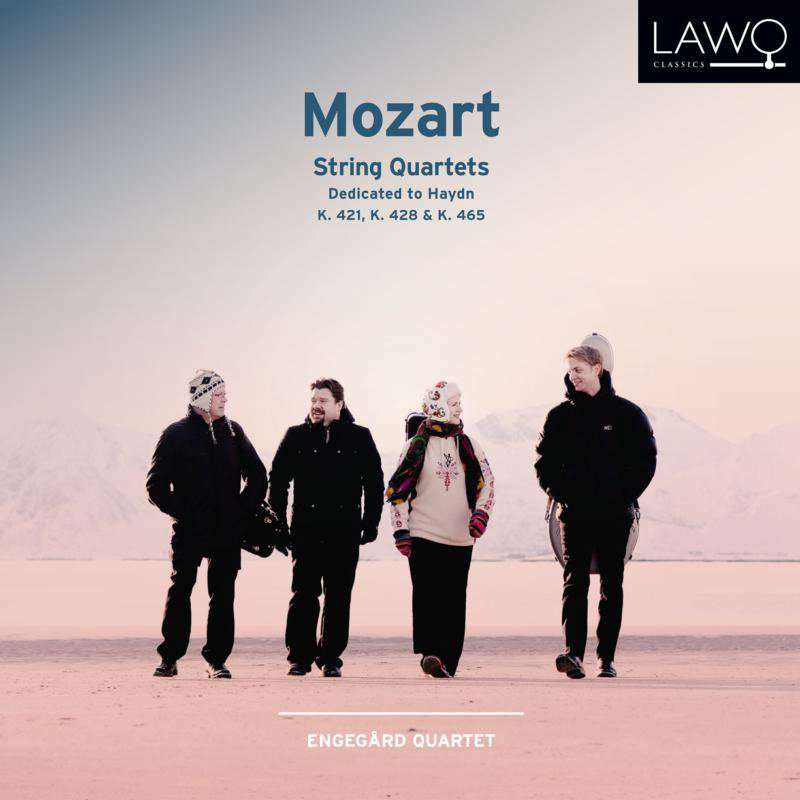 LAWO Records has this month announced the release of the Norwegian-based Engegård String Quartet‘s new album: Mozart String Quartets. The disc features Mozart’s String Quartet No. 15 in D Minor K421, String Quartet No.16 in E-flat K428 – and the ‘Dissonance’ String Quartet No.19 in C Major K465. ”Mozart is a composer we as a quartet have great admiration for … three members of the Engegård Quartet studied in Salzburg, so playing Mozart’s string quartets has been a priority since the very first day of the quartet’s existence …” violinist Arvid Engegård has told The Violin Channel. “These three quartets bear all the marks of an inspired composer … they are full of character and musical ideas – and are truly a pleasure to both play and listen to,” he has said.